F: Hateful money! hateful money! B: You alarm me. I hear peace, liberty, and life cried down, and Brutus went so far even as to say, “Virtue! thou art but a name!” But what can have happened? B: Come, come, exercise a little philosophy. What has happened to you? Has Croesus been affecting you? Has Jones been playing you false? or has Smith been libeling you in the papers? B: Ah! Now I have it. How could I be so blind? You, too, are the inventor of a social reorganization — of the F—-system , in fact. Your society is to be more perfect than that of Sparta, and, therefore, all money is to be rigidly banished from it. And the thing that troubles you is, how to persuade your people to throw away the contents of their purses. What would you have? This is the rock on which all reorganizers split. There is not one but would do wonders, if he could contrive to overcome all resisting influences, and if all mankind would consent to become soft wax in his fingers; but men are resolved not to be soft wax; they listen, applaud, or reject and — go on as before. B: You are a disciple of Proudhon, then? Well, there is a very simple way for you to satisfy yourself. Throw your purse into the river, only reserving a small draft on the Bank of Exchange. F: If I cry out against money, is it likely I should tolerate its deceitful substitute? B: Then I have only one more guess to make. You are a new Diogenes, and are going to victimize me with a discourse on the contempt of riches. F: Heaven preserve me from that! For riches, don't you see, are not a little more or a little less money. They are bread for the hungry, clothes for the naked, fuel to warm you, oil to lengthen the day, a career open to your son, a certain portion for your daughter, a day of rest after fatigue, a cordial for the faint, a little assistance slipped into the hand of a poor man, a shelter from the storm, a diversion for a brain worn by thought, the incomparable pleasure of making those happy who are dear to us. Riches are instruction, independence, dignity, confidence, charity; they are progress and civilization. Riches are the admirable civilizing result of two admirable agents, more civilizing even than riches themselves — labor and exchange. B: Well! now you seem to be singing the praises of riches, when, a moment ago, you were loading them with imprecations! F: Why, don't you see that it was only the whim of an economist? I cry out against money, just because everybody confounds it, as you did just now, with riches, and that this confusion is the cause of errors and calamities without number. I cry out against it because its function in society is not understood, and very difficult to explain. I cry out against it because it jumbles all ideas, causes the means to be taken for the end, the obstacle for the cause, the alpha for the omega; because its presence in the world, though in itself beneficial, has, nevertheless, introduced a fatal notion, a perversion of principles, a contradictory theory, which, in a multitude of forms, has impoverished mankind and deluged the earth with blood. I cry out against it, because I feel that I am incapable of contending against the error to which it has given birth, otherwise than by a long and fastidious dissertation to which no one would listen. Oh! if I could only find a patient and benevolent listener! B: Well, it shall not be said that for want of a victim you remain in the state of irritation in which you now are. I am listening; speak, lecture, do not restrain yourself in any way. F: You promise to take an interest? B: I promise to have patience. F: That is not much. B: It is all that I can give. Begin, and explain to me, at first, how a mistake on the subject of money, if mistake there be, is to be found at the root of all economical errors? F: Well, now, is it possible that you can conscientiously assure me that you have never happened to confound wealth with money? B: I don't know; but, after all, what would be the consequence of such a confusion? F: Nothing very important. An error in your brain, which would have no influence over your actions; for you see that, with respect to labor and exchange, although there are as many opinions as there are heads, we all act in the same way. B: Just as we walk upon the same principle, although we are not agreed upon the theory of equilibrium and gravitation. F: Precisely. A person who argued himself into the opinion that during the night our heads and feet changed places, might write very fine books upon the subject, but still he would walk about like everybody else. B: So I think. Nevertheless, he would soon suffer the penalty of being too much of a logician. F: In the same way, a man would die of hunger, who having decided that money is real wealth, should carry out the idea to the end. That is the reason that this theory is false, for there is no true theory but such as results from facts themselves, as manifested at all times, and in all places. B: I can understand, that practically, and under the influence of personal interest, the injurious effects of the erroneous action would tend to correct an error. But if that of which you speak has so little influence, why does it disturb you so much? F: Because, when a man, instead of acting for himself, decides for others, personal interest, that ever watchful and sensible sentinel, is no longer present to cry out, “Stop! the responsibility is misplaced.” It is Peter who is deceived, and John suffers; the false system of the legislator necessarily becomes the rule of action of whole populations. And observe the difference. 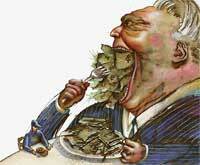 When you have money, and are very hungry, whatever your theory about money may be, what do you do? B: I go to a baker's and buy some bread. F: You do not hesitate about using your money? B: The only use of money is to buy what one wants. F: And if the baker should happen to be thirsty, what does he do? B: He goes to the wine merchant's, and buys wine with the money I have given him. F: What! is he not afraid he shall ruin himself? B: The real ruin would be to go without eating or drinking. F: And everybody in the world, if he is free, acts in the same manner? B: Without a doubt. Would you have them die of hunger for the sake of laying by pence? F: So far from it, that I consider they act wisely, and I only wish that the theory was nothing but the faithful image of this universal practice. But, suppose now, that you were the legislator, the absolute king of a vast empire, where there were no gold mines. F: Suppose, again, that you were perfectly convinced of this, — that wealth consists solely and exclusively of money, to what conclusion would you come? B: I should conclude that there was no other means for me to enrich my people, or for them to enrich themselves, but to draw away the money from other nations. F: That is to say, to impoverish them. The first conclusion, then, to which you would arrive would be this,— a nation can only gain when another loses. F: It is not the less sorrowful for that, for it implies— that progress is impossible. Two nations, no more than two men, cannot prosper side by side. B: It would seem that such is the result of this principle. F: And as all men are ambitious to enrich themselves, it follows that all are desirous, according to a law of Providence, of ruining their fellow-creatures. B: This is not Christianity, but it is political economy. F: Such a doctrine is detestable. But, to continue, I have made you an absolute king. You must not be satisfied with reasoning, you must act. There is no limit to your power. How would you treat this doctrine — wealth is money? B: It would be my endeavor to increase, incessantly, among my people the quantity of money. F: But there are no mines in your kingdom. How would you set about it? What would you do? B: I should do nothing: I should merely forbid, on pain of death, that a single dollar should leave the country. F: And if your people should happen to be hungry as well as rich? B: Never mind. In the system we are discussing, to allow them to export dollars, would be to allow them to impoverish themselves. F: So that, by your own confession, you would force them to act upon a principle equally opposite to that upon which you would yourself act under similar circumstances. Why so? B: Just because my own hunger touches me, and the hunger of a nation does not touch legislators. F: Well, I can tell you that your plan would fail, and that no superintendence would be sufficiently vigilant, when the people were hungry, to prevent the dollars from going out and the grain from coming in. B: If so, this plan, whether erroneous or not, would effect nothing; it would do neither good nor harm, and therefore requires no further consideration. F: You forget that you are a legislator. A legislator must not be disheartened at trifles, when he is making experiments on others. The first measure not having succeeded, you ought to take some other means of attaining your end. F: You must have a bad memory. Why, that of increasing, in the midst of your people, the quantity of money, which is presumed to be true wealth. B: Ah! now I am beginning to see... the grain which is allowed to come in... a bright idea strikes me... the contrivance is ingenious, the means infallible; I am coming to it now. F: Now, I, in turn, must ask you — to what? B: Why, to a means of increasing the quantity of money. F: How would you set about it, if you please? B: Is it not evident that if the heap of money is to be constantly increasing, the first condition is that none must be taken from it? B: And the second, that additions must constantly be made to it? B: Then the problem will be solved, either negatively or positively; if on the one hand I prevent the foreigner from taking from it, and on the other I oblige him to add to it. B: And for this there must be two simple laws made, in which money will not even be mentioned. By the one, my subjects will be forbidden to buy anything abroad; and by the other, they will be required to sell a great deal. B: Is it new? I must take out a patent for the invention. F: You need do no such thing; you have been forestalled. But you must take care of one thing. F: I have made you an absolute king. I understand that you are going to prevent your subjects from buying foreign productions. It will be enough if you prevent them from entering the country. Thirty or forty thousand customhouse officers will do the business. B: It would be rather expensive. But what does that signify? The money they receive will not go out of the country. F: True; and in this system it is the grand point. But to insure a sale abroad, how would you proceed? B: I should encourage it by prizes, obtained by means of some good taxes laid upon my people. F: In this case, the exporters, constrained by competition among themselves, would lower their prices in proportion, and it would be like making a present to the foreigner of the prizes or of the taxes. B: Still, the money would not go out of the country. F: Of course. That is understood. But if your system is beneficial, the governments of other countries will adopt it. They will make similar plans to yours; they will have their custom-house officers, and reject your productions; so that with them, as with you, the heap of money may not be diminished. B: I shall have an army and force their barriers. F: They will have an army and force yours. B: I shall arm vessels, make conquests, acquire colonies, and create consumers for my people, who will be obliged to eat our corn and drink our wine. F: The other governments will do the same. They will dispute your conquests, your colonies, and your consumers; then on all sides there will be war, and all will be uproar. B: I shall raise my taxes, and increase my custom-house officers, my army, and my navy. F: The others will do the same. B: I shall redouble my exertions. F: The others will redouble theirs. In the meantime, we have no proof that you would succeed in selling to a great extent. B: It is but too true. It would be well if the commercial efforts would neutralize each other. B: I grant it. Either the axiom is true, and then the legislator ought to act as I have described, although universal war should be the consequence; or it is false; and in this case men, in destroying each other, only ruin themselves. F: And, remember, that before you became a king, this same axiom had led you by a logical process to the following maxims:— That which one gains, another loses. The profit of one is the loss of the other:— which maxims imply an unavoidable antagonism amongst all men. B: It is only too certain. Whether I am a philosopher or a legislator, whether I reason or act upon the principle that money is wealth, I always arrive at one conclusion, or one result: — universal war. It is well that you pointed out the consequences before beginning a discussion upon it; otherwise, I should never have had the courage to follow you to the end of your economical dissertation, for, to tell you the truth, it is not much to my taste. F: What do you mean? I was just thinking of it when you heard me grumbling against money! I was lamenting that my countrymen have not the courage to study what it is so important that they should know. B: And yet the consequences are frightful. F: The consequences! As yet I have only mentioned one. I might have told you of others still more fatal. B: You make my hair stand on end! What other evils can have been caused to mankind by this confusion between money and wealth? F: It would take me a long time to enumerate them. This doctrine is one of a very numerous family. The eldest, whose acquaintance we have just made, is called the prohibitive system ; the next, the colonial system ; the third, hatred of capital ; the last and worst, paper money. B: What! does paper money proceed from the same error? B: In fact, this proceeding is more expeditious than the other, and then it does not lead to foreign war. F: No, but it leads to civil disaster. B: You are a grumbler. Make haste and dive to the bottom of the question. I am quite impatient, for the first time, to know if money (or its sign) is wealth. F: You will grant that men do not satisfy any of their wants immediately with coined dollars, or dollar bills. If they are hungry, they want bread; if naked, clothing; if they are ill, they must have remedies; if they are cold, they want shelter and fuel; if they would learn, they must have books; if they would travel, they must have conveyances — and so on. The riches of a country consist in the abundance and proper distribution of all these things. Hence you may perceive and rejoice at the falseness of this gloomy maxim of Bacon's,“What one people gains, another necessarily loses,” a maxim expressed in a still more discouraging manner by Montaigne, in these words: “The profit of one is the loss of another.” When Shem, Ham, and Japhet divided amongst themselves the vast solitudes of this earth, they surely might each of them build, drain, sow, reap, and obtain improved lodging, food and clothing, and better instruction, perfect and enrich themselves— in short, increase their enjoyments, without causing a necessary diminution in the corresponding enjoyments of their brothers. It is the same with two nations. B: There is no doubt that two nations, the same as two men, unconnected with each other, may, by working more, and working better, prosper at the same time, without injuring each other. It is not this which is denied by the axioms of Montaigne and Bacon. They only mean to say, that in the transactions which take place between two nations or two men, if one gains, the other must lose. And this is self-evident, as exchange adds nothing by itself to the mass of those useful things of which you were speaking; for if, after the exchange, one of the parties is found to have gained something, the other will, of course, be found to have lost something. F: You have formed a very incomplete, nay, a false idea of exchange. If Shem is located upon a plain which is fertile in corn, Japhet upon a slope adapted for growing the vine, Ham upon a rich pasturage— the distinction of their occupations, far from hurting any of them, might cause all three to prosper more. It must be so, in fact, for the distribution of labor, introduced by exchange, will have the effect of increasing the mass of corn, wine, and meat which is produced, and which is to be shared. How can it be otherwise, if you allow liberty in these transactions? From the moment that any one of the brothers should perceive that labor in company, as it were, was a permanent loss, compared to solitary labor, he would cease to exchange. Exchange brings with it its claim to our gratitude. The fact of its being accomplished proves that it is a good thing. B: But Bacon's axiom is true in the case of gold and silver. If we admit that at a certain moment there exists in the world a given quantity, it is perfectly clear that one purse cannot be filled without another being emptied. F: And if gold is considered to be riches, the natural conclusion is, that displacements of fortune take place among men, but no general progress. It is just what I said when I began. If, on the contrary, you look upon an abundance of useful things, fit for satisfying our wants and our tastes, as true riches, you will see that simultaneous prosperity is possible. Money serves only to facilitate the transmission of these useful things from one to another, which may be done equally well with an ounce of rare metal like gold, with a pound of more abundant material as silver, or with a hundredweight of still more abundant metal, as copper. According to that, if a country like the United States had at its disposal as much again of all these useful things, its people would be twice as rich, although the quantity of money remained the same; but it would not be the same if there were double the money, for in that case the amount of useful things would not increase. B: The question to be decided is, whether the presence of a greater number of dollars has not the effect, precisely, of augmenting the sum of useful things? F: What connection can there be between these two terms? Food, clothing, houses, fuel, all come from nature and from labor, from more or less skillful labor exerted upon a more or less liberal nature. B: You are forgetting one great force, which is — exchange. If you acknowledge that this is a force, as you have admitted that dollars facilitate it, you must also allow that they have an indirect power of production. F: But I have added, that a small quantity of rare metal facilitates transactions as much as a large quantity of abundant metal; whence it follows, that a people is not enriched by being forced to give up useful things for the sake of having more money. B: Thus, it is your opinion that the treasures discovered in California will not increase the wealth of the world? F: I do not believe that, on the whole, they will add much to the enjoyments, to the real satisfactions of mankind. If the Californian gold merely replaces in the world that which has been lost and destroyed, it may have its use. If it increases the amount of money, it will depreciate it. The gold diggers will be richer than they would have been without it. But those in whose possession the gold is at the moment of its depreciation, will obtain a smaller gratification for the same amount. I cannot look upon this as an increase, but as a displacement of true riches, as I have defined them. B: All that is very plausible. But you will not easily convince me that I am not richer (all other things being equal) if I have two dollars, than if I had only one. F: I do not deny it. B: And what is true of me is true of my neighbor, and of the neighbor of my neighbor, and so on, from one to another, all over the country. Therefore, if every citizen of the United States has more dollars, the United States must be more rich. F: And here you fall into the common mistake of concluding that what affects one affects all, and thus confusing the individual with the general interest. B: Why, what can be more conclusive? What is true of one, must be so of all. What are all, but a collection of individuals? You might as well tell me that every American could suddenly grow an inch taller, without the average height of all the Americans being increased. F: Your reasoning is apparently sound, I grant you, and that is why the allusion it conceals is so common. However, let us examine it a little. Ten persons were at play. For greater ease, they had adopted the plan of each taking ten counters, and against these they each placed a hundred dollars under a candlestick, so that each counter corresponded to ten dollars. After the game the winnings were adjusted, and the players drew from the candlestick as many ten dollars as would represent the number of counters. Seeing this, one of them, a great arithmetician perhaps, but an indifferent reasoner, said:“Gentlemen, experience invariably teaches me that, at the end of the game, I find myself a gainer in proportion to the number of my counters. Have you not observed the same with regard to yourselves? Thus, what is true of me must be true of each of you, and what is true of each must be true of all. We should, therefore, all of us gain more, at the end of the game, if we all had more counters. Now, nothing can be easier; we have only to distribute twice the number of counters.” This was done; but when the game was finished, and they came to adjust the winnings, it was found that the one hundred under the candlestick had not been miraculously multiplied, according to the general expectation. They had to be divided accordingly, and the only result obtained (chimerical enough) was this;— every one had, it is true, his double number of counters, but every counter, instead of corresponding to ten dollars, only represented five. Thus it was clearly shown that what is true of each is not always true of all. B: I see; you are supposing a general increase of counters, without a corresponding increase of the sum placed under the candlestick. F: And you are supposing a general increase of dollars, without a corresponding increase of things, the exchange of which is facilitated by these dollars. B: Do you compare the dollars to counters? F: In any other point of view, certainly not; but in the case you place before me, and which I have to argue against, I do. Remark one thing. In order that there be a general increase of dollars in a country, this country must have mines, or its commerce must be such as to give useful things in exchange for money. Apart from these two circumstances, a universal increase is impossible, the dollars only changing hands; and in this case, although it may be very true that each one, taken individually, is richer in proportion to the number of dollars that he has, we cannot draw the inference which you drew just now, because a dollar more in one purse implies necessarily a dollar less in some other. It is the same as with your comparison of the middle height. If each of us grew only at the expense of others, it would be very true of each, taken individually, that he would be a taller man if he had the chance, but this would never be true of the whole taken collectively. B: Be it so: but, in the two suppositions that you have made, the increase is real, and you must allow that I am right. F: To a certain point, gold and silver have a value. To obtain this value, men consent to give other useful things which have a value also. When, therefore, there are mines in a country, if that country obtains from them sufficient gold to purchase a useful thing from abroad — a locomotive, for instance — it enriches itself with all the enjoyments which a locomotive can procure, exactly as if the machine had been made at home. The question is, whether it spends more efforts in the former proceeding than in the latter? For if it did not export this gold, it would depreciate, and something worse would happen than what did sometimes happen in California and in Australia, for there, at least, the precious metals are used to buy useful things made elsewhere. Nevertheless, there is still a danger that they may starve on heaps of gold; as it would be if the law prohibited the exportation of gold. As to the second supposition— that of the gold which we obtain by trade: it is an advantage, or the reverse, according as the country stands more or less in need of it, compared to its wants of the useful things which must be given up in order to obtain it. It is not for the law to judge of this, but for those who are concerned in it; for if the law should start upon this principle, that gold is preferable to useful things, whatever may be their value, and if it should act effectually in this sense, it would tend to put every country adopting the law in the curious position of having a great deal of cash to spend, and nothing to buy. It is the very same system which is represented by Midas, who turned everything he touched into gold, and was in consequence in danger of dying of starvation. B: The gold which is imported implies that a useful thing is exported, and in this respect there is a satisfaction withdrawn from the country. But is there not a corresponding benefit? And will not this gold be the source of a number of new satisfactions, by circulating from hand to hand, and inciting to labor and industry, until at length it leaves the country in its turn, and causes the importation of some useful thing. F: Now you have come to the heart of the question. Is it true that a dollar is the principle which causes the production of all the objects whose exchange it facilitates? It is very clear that a piece of coined gold or silver stamped as a dollar is only worth a dollar; but we are led to believe that this value has a particular character: that it is not consumed like other things, or that it is exhausted very gradually; that it renews itself, as it were, in each transaction; and that, finally this particular dollar has been worth a dollar, as many times as it has accomplished transactions— that it is of itself worth all the things for which it has been successively exchanged; and this is believed, because it is supposed that without this dollar these things would never have been produced. It is said the shoemaker would have sold fewer shoes, consequently he would have bought less of the butcher; the butcher would not have gone so often to the grocer, the grocer to the doctor, the doctor to the lawyer, and so on. B: No one can dispute that. F: This is the time, then, to analyze the true function of money, independently of mines and importations. You have a dollar. What does it imply in your hands? It is, as it were, the witness and proof that you have, at some time or other, performed some labor, which, instead of turning to your advantage, you have bestowed upon society as represented by the person of your client (employer or debtor). This coin testifies that you have performed a service for society, and, moreover, it shows the value of it. It bears witness, besides, that you have not yet obtained from society a real equivalent service, to which you have a right. To place you in a condition to exercise this right, at the time and in the manner you please, society, as represented by your client, has given you an acknowledgment, a title, a privilege from the republic, a counter, a title to a dollar's worth of property in fact, which only differs from executive titles by bearing its value in itself; and if you are able to read with your mind's eye the inscriptions stamped upon it you will distinctly decipher these words:— “Pay the bearer a service equivalent to what he has rendered to society, the value received being shown, proved, and measured by that which is represented by me.” Now, you give up your dollar to me. Either my title to it is gratuitous, or it is a claim. If you give it to me as payment for a service, the following is the result:— your account with society for real satisfactions is regulated, balanced, and closed. You had rendered it a service for a dollar, you now restore the dollar for a service; as far as you are concerned you are clear. As for me, I am just in the position in which you were just now. It is I who am now in advance to society for the service which I have just rendered it in your person. I have become its creditor for the value of the labor which I have performed for you, and which I might devote to myself. It is into my hands then, that the title of this credit— the proof of this social debt — ought to pass. You cannot say that I am any richer; if I am entitled to receive, it is because I have given. Still less can you say that society is a dollar richer, because one of its members has a dollar more, and another has one less. For if you let me have this dollar gratis, it is certain that I shall be so much the richer, but you will be so much the poorer for it; and the social fortune, taken in a mass, will have undergone no change, because as I have already said, this fortune consists in real services, in effective satisfactions, in useful things. You were a creditor to society; you made me a substitute to your rights, and it signifies little to society, which owes a service, whether it pays the debt to you or to me. This is discharged as soon as the bearer of the claim is paid. B: But if we all had a great number of dollars we should obtain from society many services. Would not that be very desirable? F: You forget that in the process which I have described, and which is a picture of the reality, we only obtain services from society because we have bestowed some upon it. Whoever speaks of a service, speaks, at the same time of a service received and returned, for these two terms imply each other, so that the one must always be balanced by the other. It is impossible for society to render more services than it receives, and yet a belief to the contrary is the chimera which is being pursued by means of the multiplication of coins, of paper money, etc. B: All that appears very reasonable in theory, but in practice I cannot help thinking, when I see how things go, that if, by some fortunate circumstance, the number of dollars could be multiplied in such a way that each of us could see his little property doubled, we should all be more at our ease; we should all make more purchases, and trade would receive a powerful stimulus. F: More purchases! and what should we buy? Doubtless, useful articles— things likely to procure for us substantial gratification— such as provisions, stuffs, houses, books, pictures. You should begin, then, by proving that all these things create themselves; you must suppose the Mint melting ingots of gold which have fallen from the moon; or that the printing presses be put in action at the Treasury Department; for you cannot reasonably think that if the quantity of corn, cloth, ships, hats, and shoes remains the same, the share of each of us can be greater, because we each go to market with a greater amount of real or fictitious money. Remember the players. In the social order the useful things are what the workers place under the candlestick, and the dollars which circulate from hand to hand are the counters. If you multiply the dollars without multiplying the useful things, the only result will be that more dollars will be required for each exchange, just as the players required more counters for each deposit. You have the proof of this in what passes for gold, silver, and copper. Why does the same exchange require more copper than silver, more silver than gold? Is it not because these metals are distributed in the world in different proportions? What reason have you to suppose that if gold were suddenly to become as abundant as silver, it would not require as much of one as of the other to buy a house? B: You may be right, but I should prefer your being wrong. In the midst of the sufferings which surround us, so distressing in themselves, and so dangerous in their consequences, I have found some consolation in thinking that there was an easy method of making all the members of the community happy. F: Even if gold and silver were true riches, it would be no easy matter to increase the amount of them in a country where there are no mines. B: No, but it is easy to substitute something else. I agree with you that gold and silver can do but little service, except as a mere means of exchange. It is the same with paper money, bank-notes, etc. Then, if we had all of us plenty of the latter, which it is so easy to create, we might all buy a great deal, and should want for nothing. Your cruel theory dissipates hopes, illusions, if you will, whose principle is assuredly very philanthropic. F: Yes, like all other barren dreams formed to promote universal felicity. The extreme facility of the means which you recommend is quite sufficient to expose its hollowness. Do you believe that if it were merely needful to print bank-notes in order to satisfy all our wants, our tastes, and desires, that mankind would have been contented to go on till now without having recourse to this plan? I agree with you that the discovery is tempting. It would immediately banish from the world, not only plunder, in its diversified and deplorable forms, but even labor itself, except in the National Printing Bureau. But we have yet to learn how greenbacks are to purchase houses, which no one would have built; corn, which no one would have raised; stuffs, which no one would have taken the trouble to weave. B: One thing strikes me in your argument. You say yourself that if there is no gain, at any rate there is no loss in multiplying the instrument of exchange, as is seen by the instance of the players, who were quits by a very mild deception. Why, then, refuse the philosopher's stone, which would teach us the secret of changing base material into gold, or what is the same thing, converting paper into money? Are you so blindly wedded to logic, that you would refuse to try an experiment where there can be no risk? If you are mistaken, you are depriving the nation, as your numerous adversaries believe, of an immense advantage. If the error is on their side, no harm can result, as you yourself say, beyond the failure of a hope. The measure, excellent in their opinion, in yours is merely negative. Let it be tried, then, since the worst which can happen is not the realization of an evil, but the non-realization of a benefit. B: Who says anything about altering the money? F: Why, to force people to take in payment scraps of paper which have been officially baptized dollars, or to force them to receive, as weighing an ounce, a piece of silver which weighs only half an ounce, but which has been officially named a dollar, is the same thing, if not worse; and all the reasoning which can be made in favor of paper money has been made in favor of legal false-coined money. Certainly, looking at it, as you did just now, and as you appear to be doing still, if it is believed that to multiply the instruments of exchange is to multiply the exchanges themselves as well as the things exchanged, it might very reasonably be thought that the most simple means was to mechanically divide the coined dollar, and to cause the law to give to the half the name and value of the whole. Well, in both cases, depreciation is inevitable. I think I have told you the cause. I must also inform you, that this depreciation, which, with paper, might go on till it came to nothing, is effected by continually making dupes; and of these, poor people, simple persons, workmen and countrymen are the chief. B: I see; but stop a little. This dose of Economy is rather too strong for once. F: Be it so. We are agreed, then, upon this point— that wealth is the mass of useful things which we produce by labor; or, still better, the result of all the efforts which we make for the satisfaction of our wants and tastes. These useful things are exchanged for each other, according to the convenience of those to whom they belong. There are two forms in these transactions; one is called barter: in this case a service is rendered for the sake of receiving an equivalent service immediately. In this form transactions would be exceedingly limited. In order that they may be multiplied, and accomplished independently of time and space amongst persons unknown to each other, and by infinite fractions, an intermediate agent has been necessary— this is money. It gives occasion for exchange, which is nothing else but a complicated bargain. This is what has to be remarked and understood. Exchange decomposes itself into two bargains, into two departments, sale and purchase — the reunion of which is needed to complete it. You sell a service, and receive a dollar —— then, with this dollar you buy a service. Then only is the bargain complete; it is not till then that your effort has been followed by a real satisfaction. Evidently you only work to satisfy the wants of others, that others may work to satisfy yours. So long as you have only the dollar which has been given you for your work, you are only entitled to claim the work of another person. When you have done so, the economical evolution will be accomplished as far as you are concerned, since you will then only have obtained, by a real satisfaction, the true reward for your trouble. The idea of a bargain implies a service rendered, and a service received. Why should it not be the same with exchange, which is merely a bargain in two parts? And here there are two observations to be made. First — It is a very unimportant circumstance whether there be much or little money in the world. If there is much, much is required; if there is little, little is wanted, for each transaction: that is all. The second observation is this:— Because it is seen that money always reappears in every exchange, it has come to be regarded as the sign and the measure of the things exchanged. B: Will you still deny that money is the sign of the useful things of which you speak? F: A half-eagle is no more the sign of a barrel of flour, than a barrel of flour is the sign of a half-eagle. B: What harm is there in looking at money as the sign of wealth? F: The inconvenience is this— it leads to the idea that we have only to increase the sign, in order to increase the things signified; and we are in danger of adopting all the false measures which you took when I made you an absolute king. We should go still further. Just as in money we see the sign of wealth, we see also in paper money the sign of money; and thence conclude that there is a very easy and simple method of procuring for everybody the pleasures of fortune. B: But you will not go so far as to dispute that money is the measure of values? F: Yes, certainly, I do go as far as that, for that is precisely where the illusion lies. It has become customary to refer the value of everything to that of money. It is said, this is worth five, ten, or twenty dollars, as we say this weighs five, ten, or twenty grains; this measures five, ten, or twenty yards; this ground contains five, ten, or twenty acres; and hence it has been concluded that money is the measure of values. B: Well, it appears as if it was so. B: It all comes to the same thing in the end. B: Good morning; I shall go and meditate upon the lecture you have been giving me. F: Have you finished your own dissertation? As for me, I have scarcely begun mine. I have not yet spoken of the popular hatred of capital, of gratuitous credit (loans without interest)— a most unfortunate notion, a deplorable mistake, which takes its rise from the same source. B: What! does this frightful commotion of the populace against capitalists arise from money being confounded with wealth? B: This is very serious; the more so, from the syllogism being so admirably formed. I should very much like to be enlightened on the subject. But, alas! I can no longer command my attention. There is such a confusion in my head of the words coin, money, services, capital, interest, that really I hardly know where I am. We will, if you please, resume the conversation another day. F: In the meantime here is a little work entitled Capital and Rent . It may perhaps remove some of your doubts. Just look at it when you are in want of a little amusement. F: Who knows? One nail drives in another; one wearisome thing drives away another. B: I have not yet made up my mind that your views upon money and political economy in general are correct. But, from your conversation, this is what I have gathered:— That these questions are of the highest importance; for peace or war, order or anarchy, the union or the antagonism of citizens, are at the root of the answer to them. How is it that in France and most other countries which regard themselves as highly civilized, a science which concerns us all so nearly, and the diffusion of which would have so decisive an influence upon the fate of mankind, is so little known? Is it that the State does not teach it sufficiently? F: Not exactly. For, without knowing it, the State applies itself to loading everybody's brain with prejudices, and everybody's heart with sentiments favorable to the spirit of disorder, war, and hatred; so that, when a doctrine of order, peace, and union presents itself, it is in vain that it has clearness and truth on its side, – it cannot gain admittance. B: Decidedly you are a frightful grumbler. What interest can the State have in mystifying people's intellects in favor of revolutions, and civil and foreign wars? There must certainly be a great deal of exaggeration in what you say. F: Consider. At the period when our intellectual faculties begin to develop themselves, at the age when impressions are liveliest, when habits of mind are formed with the greatest ease— when we might look at society and understand it— in a word, as soon as we are seven or eight years old, what does the State do? It puts a bandage over our eyes, takes us gently from the midst of the social circle which surrounds us, to plunge us, with our susceptible faculties, our impressible hearts, into the midst of Roman society. It keeps us there for ten years at least, long enough to make an ineffaceable impression on the brain. Now observe, that Roman society is directly opposed to what our society ought to be. There they lived upon war; here we ought to hate war; there they hated labor; here we ought to live upon labor. There the means of subsistence were founded upon slavery and plunder; here they should be drawn from free industry. Roman society was organized in consequence of its principle. It necessarily admired what made it prosper. There they considered as virtue what we look upon as vice. Its poets and historians had to exalt what we ought to despise. The very words liberty, order, justice, people, honor, influence, etc:, could not have the same signification at Rome, as they have, or ought to have, at Paris. How can you expect that all these youths who have been at university or conventual schools, with Livy and Quintus Curtius for their catechism, will not understand liberty like the Gracchi, virtue like Cato, patriotism like Caesar? How can you expect them not to be factious and warlike? How can you expect them to take the slightest interest in the mechanism of our social order? Do you think that their minds have been prepared to understand it? Do you not see that in order to do so they must get rid of their present impressions, and receive others entirely opposed to them? B: What do you conclude from that? F: I will tell you. The most urgent necessity is, not that the State should teach, but that it should allow education. All monopolies are detestable, but the worst of all is the monopoly of education. : During the sixteenth and seventeenth centuries this theory was almost universally accepted in Europe. 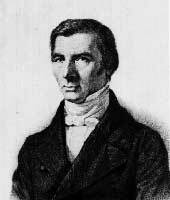 : Stated in the abstract, these views, which M. Bastiat causes his imaginary advocate of the issue and use of irredeemable paper money to express, seem so absurd, that one reading involuntarily asks himself: “Do people in actual life, holding important positions of trust and influence really ever thus talk and believe?” To this the answer, unfortunately, must be in the affirmative. The legislative history of all countries is full of examples of such utterances; and that of the United States, especially, abounds with them. Pelatiah Webster, in his history of “Continental Money,” tells us that when the subject of increased taxation for the support of the war was under consideration by the Continental Congress, a member arose and indignantly asked,“if he was expected to help tax people, when they could go to the printing-office and get money by the cart load.” During the debates in the Senate of the United States in 1875, the Hon. O. P. Morton, a senator from Indiana, a man whom no small number of people have thought worthy of being called to the Executive chair of the nation, authoritatively laid down this proposition:“That an abundance of money” (meaning irredeemable paper money)“does produce enterprise, prosperity, and progress; that when money was plentiful interest would be lower,” just as when horses and hogs are abundant, horses and hogs are cheap: The trouble here was that this senator had not sufficiently comprehended the a, b, c's of finance, to appreciate the difference between capital and currency; and in the simplicity of his heart imagined that it was all the same whether we had pictures of horses, hogs, and money, or real horses, hogs, and money, which represent, and are only produced by labor.— Robinson Crusoe's Money, p. 110. Q: In buying in gold and selling in currency, what addition do you make to your selling price, in the way of insurance, that the currency received will be sufficient — plus profit, interest, etc.— to replace or buy back the gold represented by the original purchase? A: We do but very little of that now; hardly enough to speak about. Q: But still you make insurance against currency fluctuations an item in your business to be regarded to some extent. A: Why, yes, certainly; it won't do to overlook it entirely. Q: Well, then, if you have no objections, please tell me what you do allow under existing circumstances? A: I have certainly no objections. We buy closely for cash; sell largely for cash, or very short credit; and, within the comparatively narrow limits that currency has fluctuated for the last two or three years, add but little to our selling prices as insurance on that account, say one or two per cent for cash, or three months' credit; and for a longer credit — if we give it — something additional. During or immediately after the war, when the currency fluctuations were more extensive, frequent, and capricious, the case was very different. Then selling prices had to be watched very closely, and changed very frequently, sometimes daily. My present experience, therefore, is exceptional; and to get the information you want, you must look further. I think I can help you to do this. We buy regularly large quantities of a foreign product, let us suppose, for illustration, cloths, for the large manufacturers and dealers in ready-made clothing. We buy for gold, and we sell for gold, and do not allow the currency or its fluctuations to enter in any way into these transactions. But how is it with my customers? I allow them some credit; and the amount involved being often very large, I, of course, must know something of the way in which they manage their business. They transform the cloth purchased with gold into clothing, and then sell the clothing, in turn, to their customers, jobbers and retailers, all over the country, for currency, on a much longer average credit than they obtain from me for their raw material. As a matter of safety and necessity these wholesale dealers and manufacturers must add to their selling prices a sufficient percentage to make sure that the currency they are to receive at the end of three, six, or nine months will be sufficient to buy them as much gold as they have paid to me, or as much as will buy them another lot of cloth to meet the further demands of their business and their customers. How much they thus add I cannot definitely say. There is no regular rule. Every man doubtless adds all that competition will permit; and every circumstance likely to affect the prospective price of gold is carefully considered. Five per centage, in my opinion, on a credit of three months, would be the average minimum; and for a longer time, a larger percentage. If competition does not allow any insurance percentage to be added there is a liability to a loss of capital, which in the long run may be most disastrous, a circumstance that may explain the wreck of many firms, whose managers, on the old-fashioned basis of doing business, would have been successful. The jobbers and the retailers, to whom the wholesale dealers and manufacturers sell, are not so likely to take currency insurance into consideration in fixing their selling prices; but to whatever amount the cost price of their goods has been enhanced by the necessity of insurance against currency fluctuations, on that same amount they estimate and add for interest and profits; the total enhancement of prices falling ultimately on the consumer, who, of necessity, can rarely know the elements of the cost of the article he purchases. Q: So Mr. Webster, then, in his remark, which has become almost a proverb, that “of all contrivances for cheating the laboring classes, none has been more effectual than that which deludes them with paper money,” must have been thoroughly cognizant of the nature of such transactions? A: Most undoubtedly; for such transactions are the inevitable consequence of using as a medium of exchange a variable, irredeemable currency. The illustration above given, therefore, in the place of being imaginary, is based on the actual condition of business at the present time, January, 1876.— Note from Robinson Crusoe's Money, by David A. Wells. This text was reprinted in the Quarterly Journal of Austrian Economics , Vol. 5, No. 3 (Fall 2002): 87­105, from Frédéric Bastiat, Essays on Political Economy, David A. Wells, trans. and notes (New York: G. P. Putnam's Sons, 1877). See the corresponding article by Mark Thornton: Frédéric Bastiat's Views on the Nature of Money. See also the original version in French from Bastiat.org.